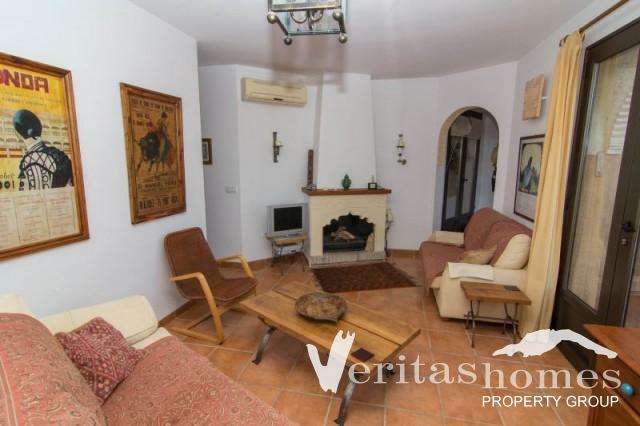 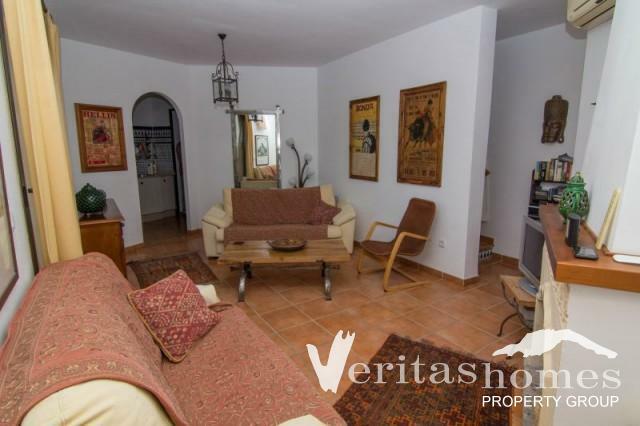 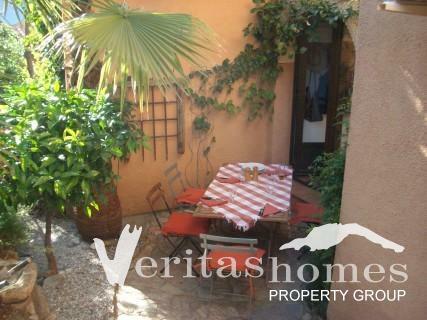 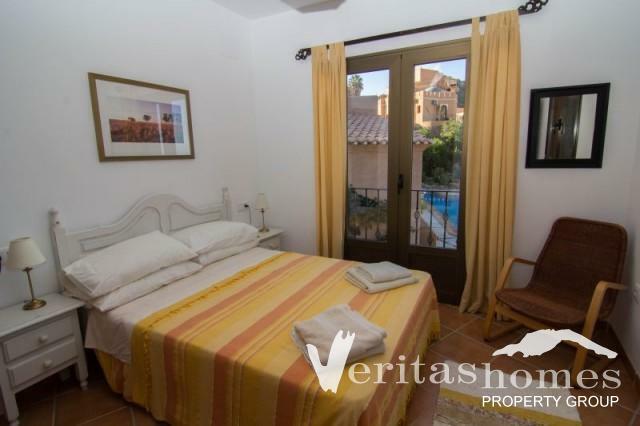 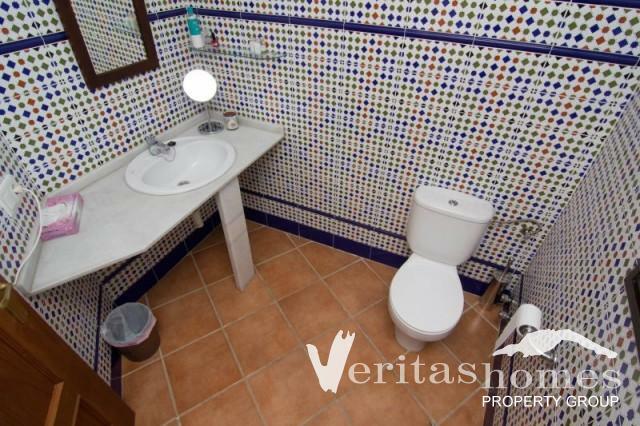 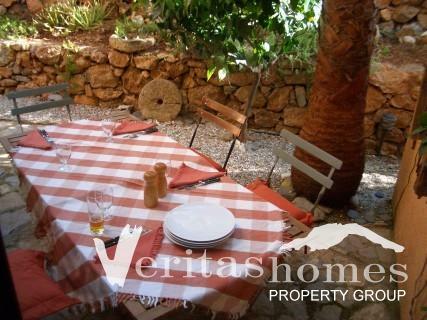 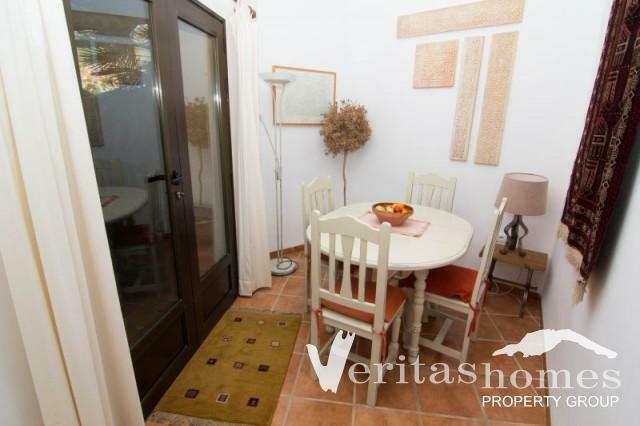 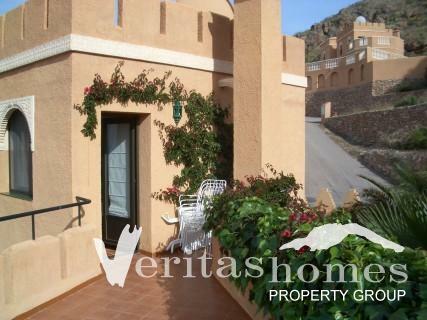 2 bed / 2 bath detached villa part of a small and very well kept complex in Sierra Cabrera comprised of 8 properties sharing a communal swimming pool and gardens. 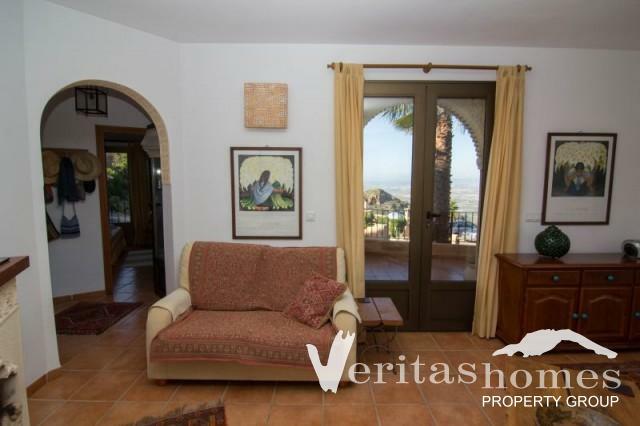 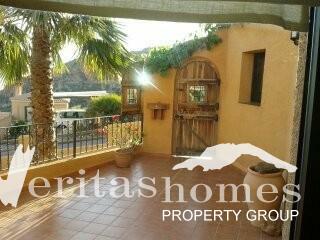 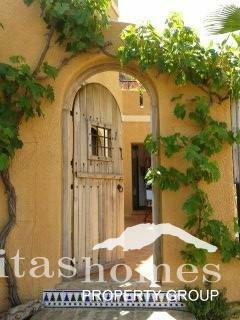 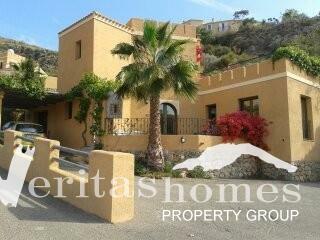 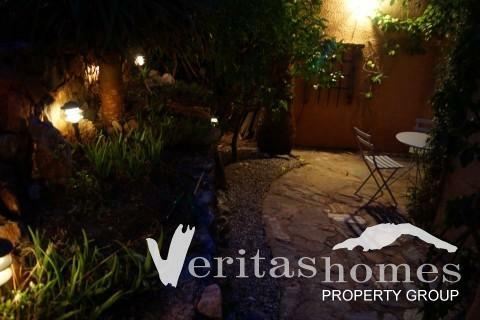 The property itself is built on a plot of 130 m2 and has a built area of 82 m2. 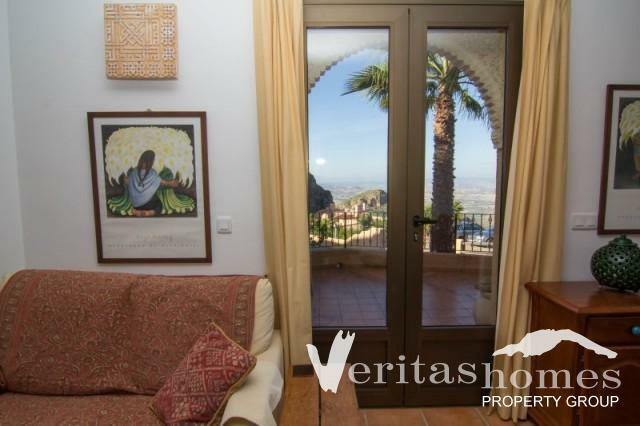 It offers stunning panoramic mountain views. 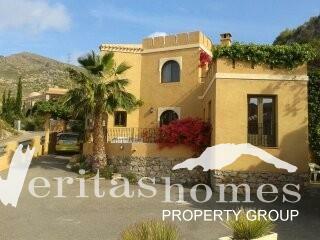 The property is in excellent order throughout. 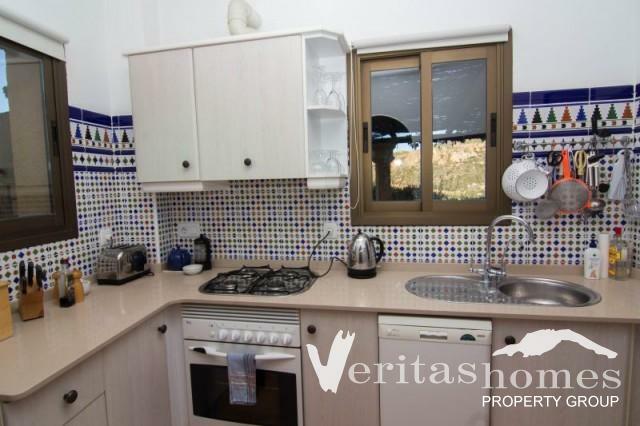 On the ground floor there is a living room, dining room, kitchen with a utility area and a bedroom with en suite shower room and on the first floor a large bedroom with en suite shower room. 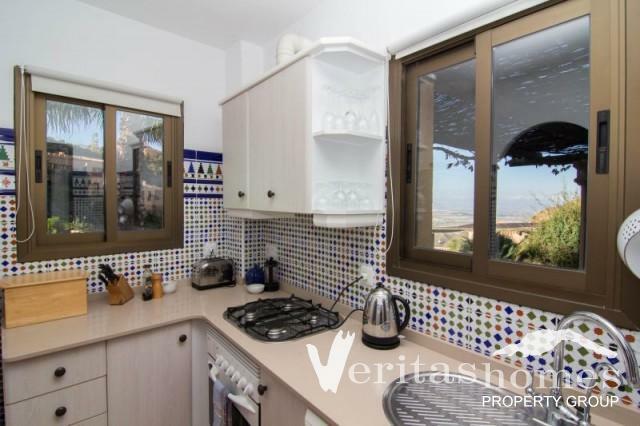 The house also benefits from a car port, court yard to the front and back, a large terrace off the bedroom upstairs and so on. 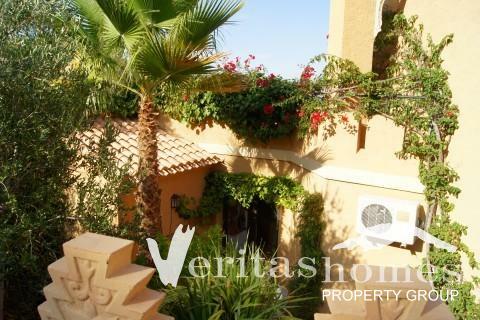 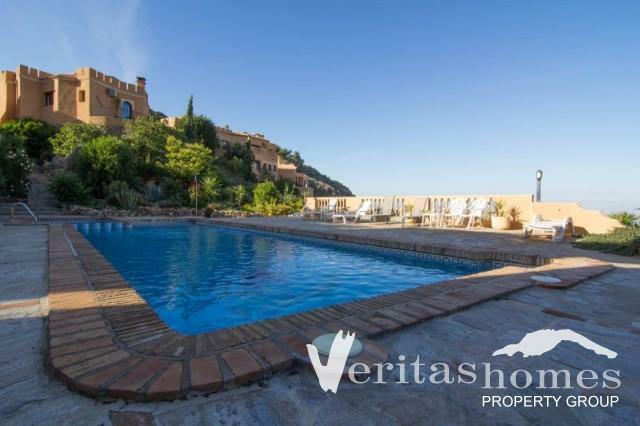 All in all, a very good opportunity for those looking to buy an extremely well-kept 2 bed Villa on this prestigious Moorish village at a very reasonable price.